KAMPALA: The Inspector General of Police, Martin Okoth Ochola has this afternoon promoted several officers, key among them, Joshua Cheptegei and Stella Chesang, who represented Uganda at the Gold Coast Commonwealth Games in Queensland- Australia. 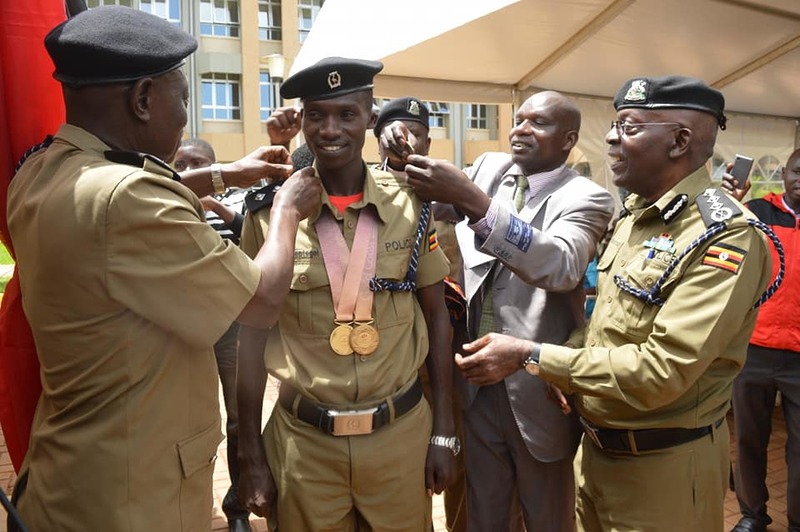 Reports received by PML Daily confirm that SPC Cheptegei, who won two gold medals in the 5,000 and 10,000 meter races, has been regraded to a Police Constable and appointed to the rank of Inspector of Police in addition to getting a token of Shs10 million at an official ceremony at Naguru Police Headquarters. 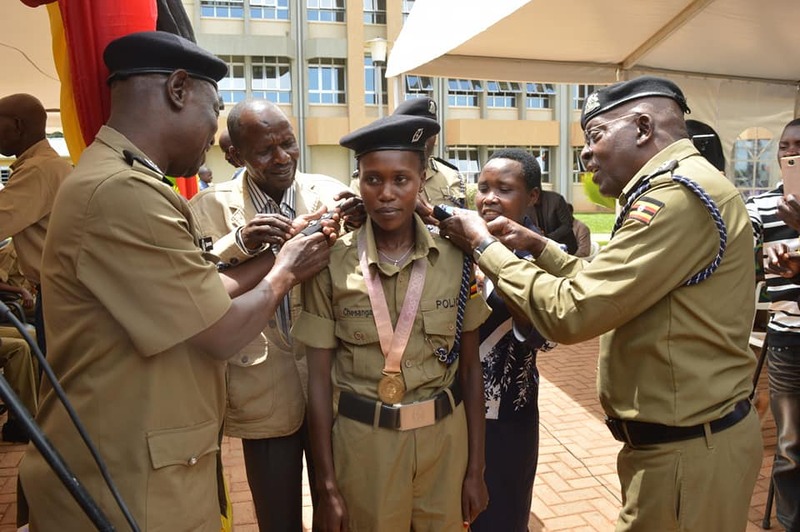 Special Police Constable (SPC) Chesang, who won gold in the 10,000 metres women has also re-graded to Police Constable and appointed to the rank of Inspector of Police also with a token of Shs5 million. SPC Chelengat Mercyline who won a bronze medal in the same 10,000 metres women’s race was also re-graded to the rank of police constable and appointed to the rank of Assistant Inspector of police. Others promoted include; SPC Chemonges Robert, SPC Ayikoru Scoviam, SPC Shida Leni and SPC Lalam Josephine; all re-graded to the ranks of Police Constable with a token of Shs1 million each. ASP Kiwa Faustino received a token of Shs2 million. SPC Njia Benjamin was re-graded to the rank of police constable appointed to the rank of inspector of police and given a token of Shs2 million. In his remarks, IGP Okoth-Ochola said: “In these days of adversity, I’m certain that you endured the deepest pain to reach the current success, but you never sacrificed your deepest values. Despite the entire struggle, you didn’t fail the Uganda Police Force (UPF), the country and the continent. You have the full support of the UPF and I stand here to promise, commit and endorse that”. “You have climbed to the top you should be proud of yourself great job but aim higher”- IGP Martin Okoth Ochola. The IGP assigned a double cabin pick up to the team to assist in their movements during their training in Sebei region which he said will be followed by a 30-seater mini bus in the due course.